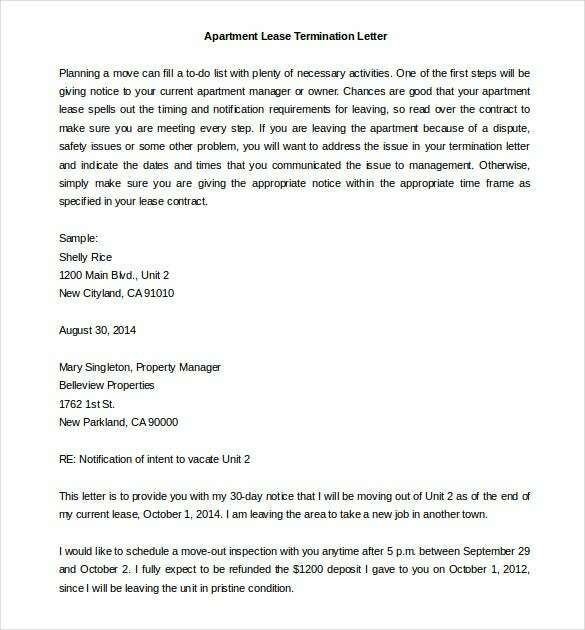 Lease termination letters are written by tenants who wish to move out of their current apartments. 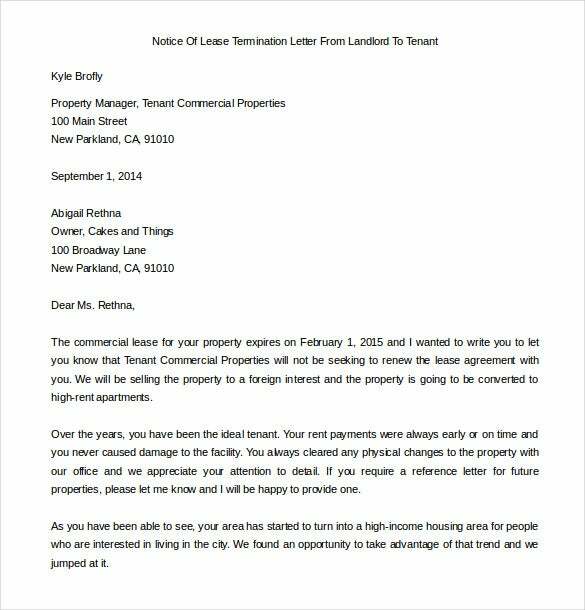 Terminating a lease in writing is a state requirement. Well, you may choose the option of talking to your landlord on phone, but it is highly unlikely that mobile communication will express all the reasons for the decision you have made. 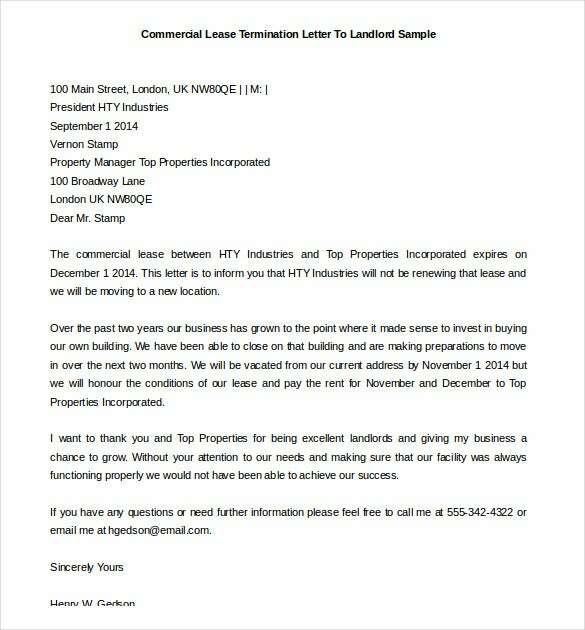 You can also see A contract termination letter often speaks your language to the landlord. It tells them why you made up your mind to move out of their apartment, and it provides them with an exact date you plan to move. 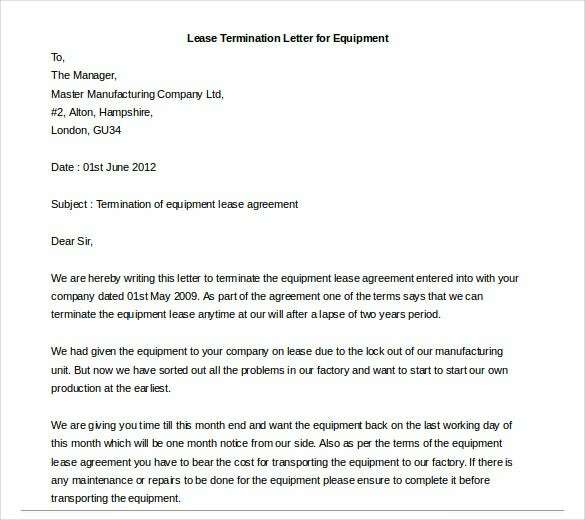 You can download a free termination letter template, and use it as a guide to help you write your own. livecareer.com | The notice of lease termination letter from landlord to tenant is a simple and well drafted lease termination template that you can use to let the tenant know about the termination of lease. livecareer.com | The lease termination letter apartment template word doc is a well written lease termination template that offers the tenant a 30 day notice period to vacate the apartment which was on lease. terminationletters.net | The lease termination letter for equipment is a simple and well drafted lease termination template that you can use to provide the company a 30 day notice to hand over the equipment. 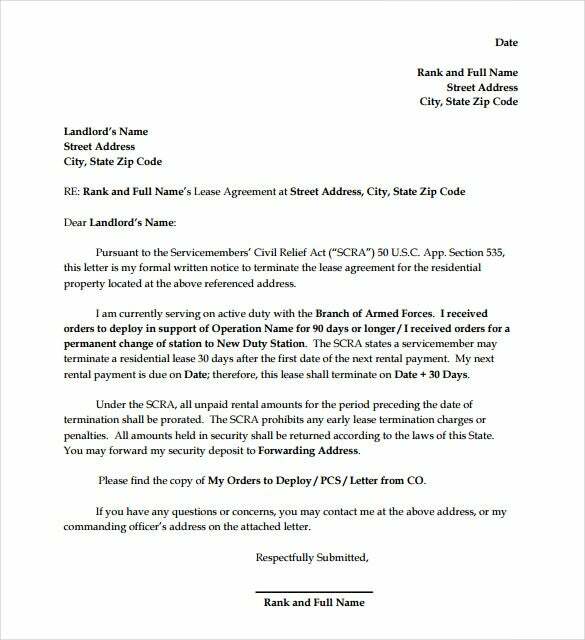 pendleton.marines.mil | The residential lease termination letter PDF format download is a simple lease termination template that is pre created and can be used after you add the details required for the letter to be complete. 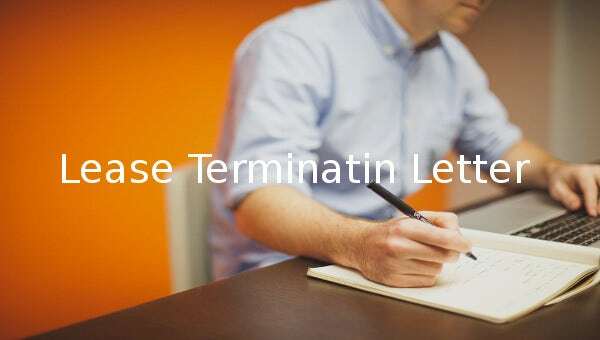 livecareer.co.uk | If you are looking for lease termination template that you can use to terminate a commercial lease, then you have to use the commercial lease termination printable letter to landlord sample.